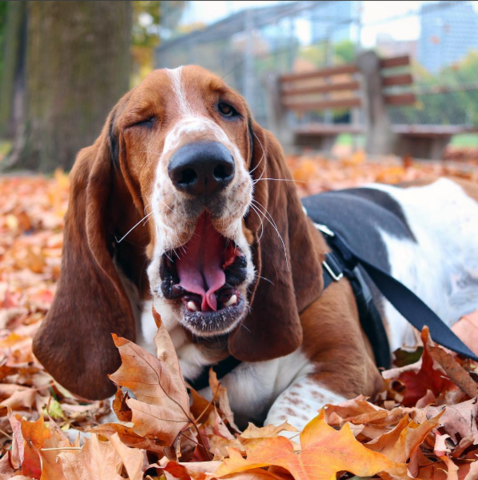 If you think your pup is super sleepy, it might just turn out that they’re one of the sleepiest dog breeds. From big beautiful Great Danes to petite Chihuahuas, these are truly the laziest dog breeds you’ll meet. They made be short, but these big dogs often like to think of themselves as lap dogs. They have low energy, and love to spend their time sunbathing and snoozing. 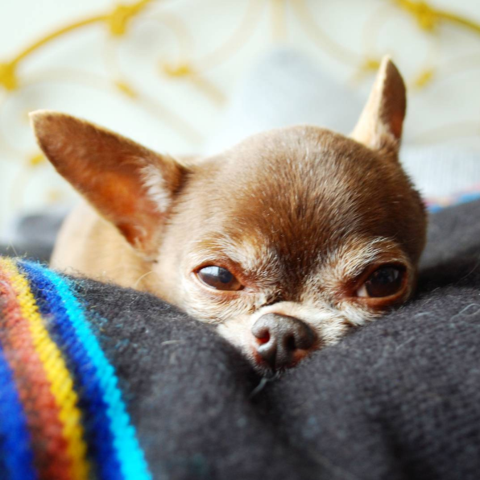 Small but mighty, the adorable Chihuahua is able to tire quite quickly, thanks to their tiny statute and hyper personality. 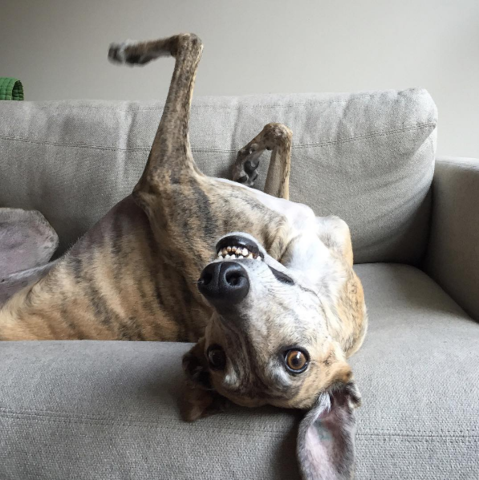 Contrary to belief, the Greyhound is one of the laziest dog breeds you’ll meet. If they had it their way, they’d be sleeping on your couch ALL day. These gentle giants are known for their stamina, but they’re also known to absolutely love cuddles. 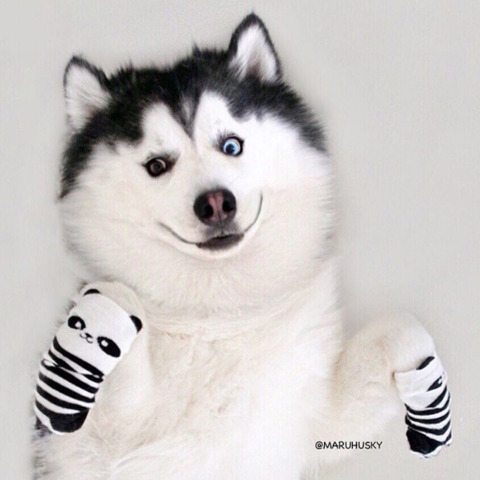 Your Husky will be more than willing to jump into bed and snooze next to you. Ah, the iconic sausage dog. 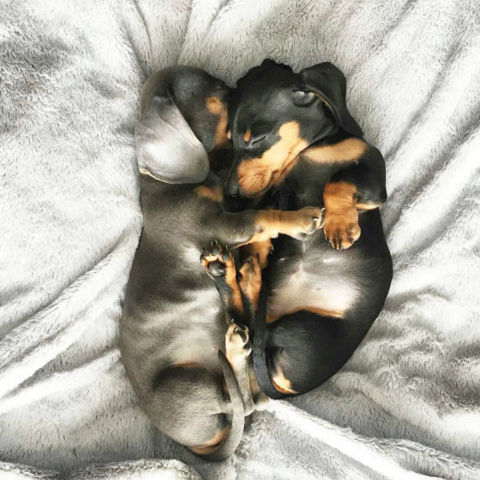 These little guys will run around for about 5 minutes, and then be so tired they’ll drop wherever they are for a quick (6 hour) snooze… preferably in a sunny spot! 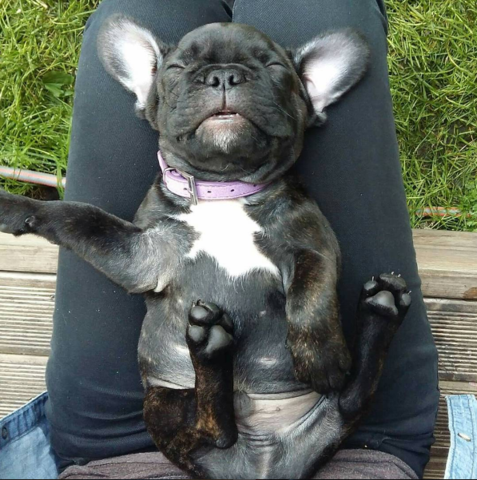 We all know Frenchies can be wild and crazy, but don’t let their energetics personas fool you. After breakfast they’re more likely to jump into bed than into the backyard. 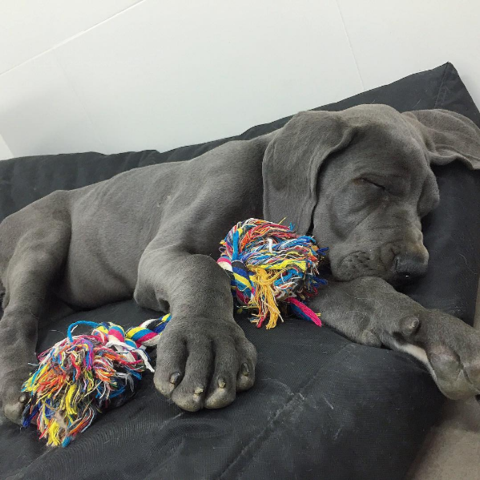 The BFGs of the canine world, Great Danes are notoriously known for their playful, dopey natures, and also their love for sleep. You’ll often catch them sleeping on their back with all four legs in the air. 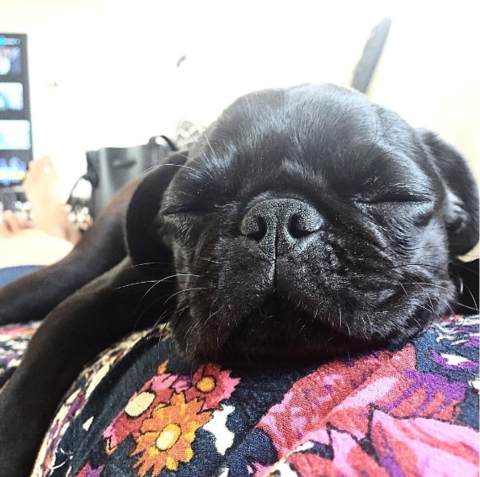 Whether it’s an afternoon siesta, a morning sleep-in or a lunch-time snooze sesh, you can be sure your pet Pug will be taking full advantage of getting as much sleep as they can get.